At the family law firm of Smith & Scatizzi, LLP, the power of forwardthinking women coupled with big firm experience helps families to successfully navigate their way through challenging times. "Our approach isn’t clinical, it’s human,” says Rachel Scatizzi, partner at Smith & Scatizzi, LLP. “Our entire team of five women has been touched by family law in some way, so our personal experiences supplement our legal training to give our clients the most well-rounded and thoughtful approach to helping them through the pain of some of their darkest times. We know how difficult this is for our clients and that understanding forms the foundation of our approach to the practice of family law,” she adds. That path is remarkably similar to Smith’s, which was the basis for the friendship that eventually emerged between the women as the result of working together as civil litigators. Indeed, both Smith and Scatizzi spent many years in a vastly different practice area. In fact, Smith, formally a partner at Seltzer Caplan McMahon Vitek (SCMV), was assigned as Scatizzi’s supervisor when Scatizzi came to the firm as an associate in 2007. “The mentoring and experience we received at SCMV was invaluable. We both trained under one of San Diego’s most legendary practitioners in a large local practice,” Smith says. 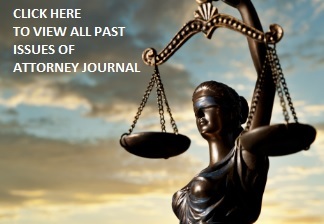 Though both enjoyed their work as civil litigators, each had their own experiences with family law, which made them begin to consider the possibility that transitioning to the field would not only be satisfying for the attorneys, but would bring the San Diego legal community a new type of family law attorney. Still, Smith and Scatizzi both admit they more or less fell into the practice of family law. “My mentor, Jerry McMahon, asked me to help on a family law case, and I happily waded in and never left. I found it to be more rewarding than any other area of law I had practiced,” says Smith. Similarly, despite having dropped her family law course in law school to make more time for trial competition, Scatizzi likewise had the opportunity to dabble in family law while she was working for a former firm in St. Louis, MO. “It was such a natural fit for my personality,” she says. Scatizzi adds, “While we both have a great deal of training and experience in all areas of family law litigation, we have a time-tested and client-approved style of teamwork.” To that end, Smith & Scatizzi has added additional team members as the firm has continued to grow. That team included Marissa McArthur, associate, who has practiced exclusively in the field of family law for five years. Danielle Vasquez serves as the team’s file clerk, while Suzanne Mascarena’s responsibilities include serving as secretary, paralegal and office manager. Furthermore, as a forward-thinking firm, the attorneys at Smith & Scatizzi are incredibly dedicated to serving the San Diego community and the legal community as a whole. Both Scatizzi and McArthur are heavily involved in the Junior League of San Diego (JLSD)—which works in the community, in part, to train women to be leaders and volunteers—with Scatizzi having served three terms on the Board of Directors and Executive Management Team as the Vice President, Fund Development Director and Nominating Chair. McArthur has served as the chair of one of JLSD’s most note-worthy fundraising events and as the leader responsible for recruiting new members to the organization. For her part, Smith helped run the Lawyer’s Club golf tournament for years, while Scatizzi served three years on the Women’s Resource Fair Task Force. With such a meteoric rise in just two years, what do Smith and Scatizzi have in store for the future? “We have already seen growth beyond our expectations in the first two years our firm has been open,” says Scatizzi. What started in the spring of 2013 as two women meeting with clients in coffee shops while their office space was built out, and wearing all of the hats of office management, has turned into team of legal powerhouses with three lawyers and two administrative professionals. “Our downtown office space has already grown too small, and we are working on expanding both sides of our suite to add additional conference rooms and offices. We anticipate bringing in another paralegal and one or two more administrative professionals. If our firm and case load continues to grow at the rate it has over the first two years, we will bring in another associate attorney,” says Smith. Has been a featured speaker on "Estate Planning from a Divorce Attorney's Perspective," "Women in the Law," "Navigating Waivers, an Ethics Presentation," and "Legal Ethics in California"
Practiced at Carmody MacDonald in St. Louis, Missouri, where she also served as the firm's pro bono coordinator, and at Seltzer Caplan McMahon Vitek in San Diego prior to founding Smith & Scatizzi, LLP in 2013. Clerked for the Hon. Michael J. Reagan of the U.S. District Court for the Southern District of Illinois and with the United States Attorney's Office for the Southern District of Illinois.